I would like to take this opportunity to thank everyone that participated in the Departmental of Physiology Faculty Retreat at The Old Mill last week. The meeting was a tremendous success. The group effectively and vigorously discussed our new Professional Master’s Program in Physiology, which is currently in the planning stages. The ideas presented were innovative and creative, and we all came away from the meeting with a positive goal for the future of graduate education in our department. 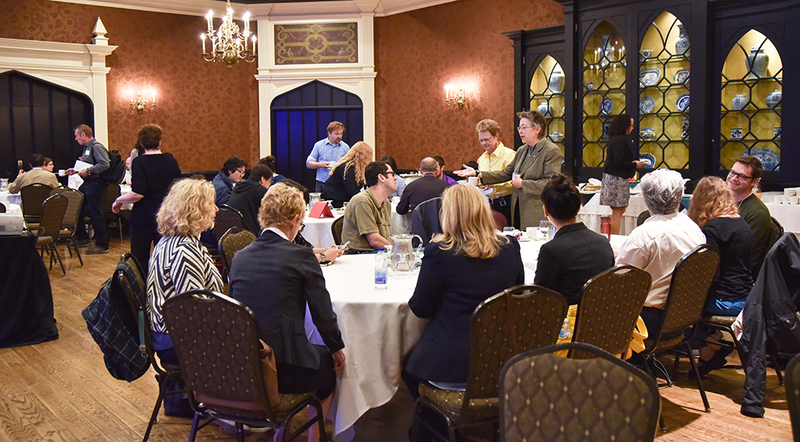 I would like to particularly thank Dr. Carin Wittnich for her efforts in putting together the agenda, and handouts. This facilitated constructive discussions and proposals going forward. Also thanks to Jenny Katsoulakos for organizing the event. 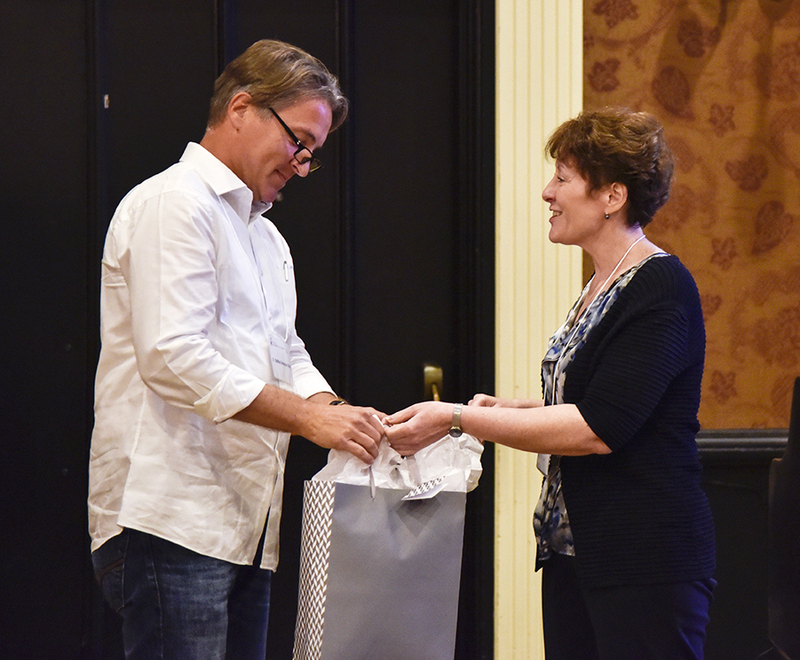 At the retreat, we also thanked Dr. Steffen-Sebastian Bolz for his contributions to the department as Interim Chair. Steffen-Sebastian provided distinguished leadership, and unwavering enthusiasm, to the directives of the department. Our sincere thanks to Steffen-Sebastian! 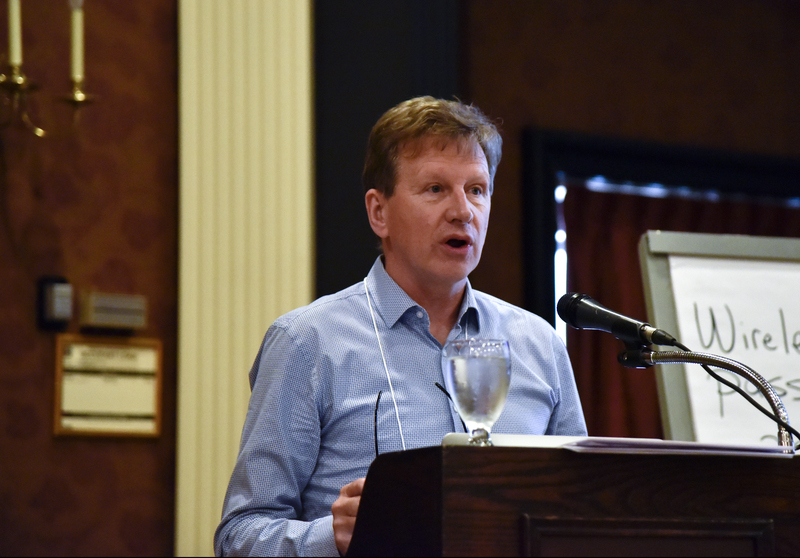 Finally, our Incoming Chair, Dr. Graham Collingridge presented an excellent seminar on his work - Past, Present and Future. Everyone was impressed with the body of work that Graham has generated over the years, and we expect great things from him in Toronto! Overall it was a superb day. As the academic year comes to a close, I would also like to take this opportunity to thank the Faculty and Graduate TAs for their efforts towards our teaching programs in the department. Our entire department, students and faculty, rely on your efforts and enthusiasm to promote learning and quality education. I thank you for your continuing efforts to make the academic program a significant and fulfilling learning experience for our students. Our academic success depends on your commitment to the students and the Department of Physiology, and we are truly grateful. Drs. Denise Belsham and Carin Wittnich facilitating discussion on the new Professional MSc Program in Physiology at the Faculty Retreat. Breakout groups discussing the PMP in Physiology. Dr. Steffen-Sebastian Bolz, Interim Chair, Dr. Denise Belsham, Acting Chair, Dr. Graham Collingridge, Incoming Chair. This will be the last PhysioLINK for the academic year. I wish you a pleasant and rejuvenating summer break! Christopher Yip, Zulfiqar Bhutta and Stephen Matthews at the University of Toronto in Canada will test whether measuring skin thickness and cellular composition by non-invasive diffuse optical spectroscopy can be used to estimate the gestational age of newborns, which is important for maternal and child health. They will first determine how light absorption and scattering properties of skin tissue at differing depths correlate with skin structure and then apply their approach to neonates of defined ages. They will also develop relevant hardware and software strategies to translate the selected optical properties into gestational age, and plan to build a low-cost and portable spectroscopy device. In the future, this device could be configured to detect other disease-related biomarkers such as hydration levels. Congratulations to Drs. Herbert Gaisano and Mark Cattral on receipt of a $2M CFI award (actually $800K CFI contribution) to establish the "Centre for Islet Research and Therapeutics (CIRT)" at the TGH/MARS. This is to set up a human islet isolation facility for the large community of islet biologists in Toronto and Ontario. Additional funds from this award will be for the purchase of equipment for research in human islet biology. This facility will ensure that Toronto remains a global leader in islet biology and diabetes research. SEMINAR TITLE: “Lung Clearance Index – The past revisited”. 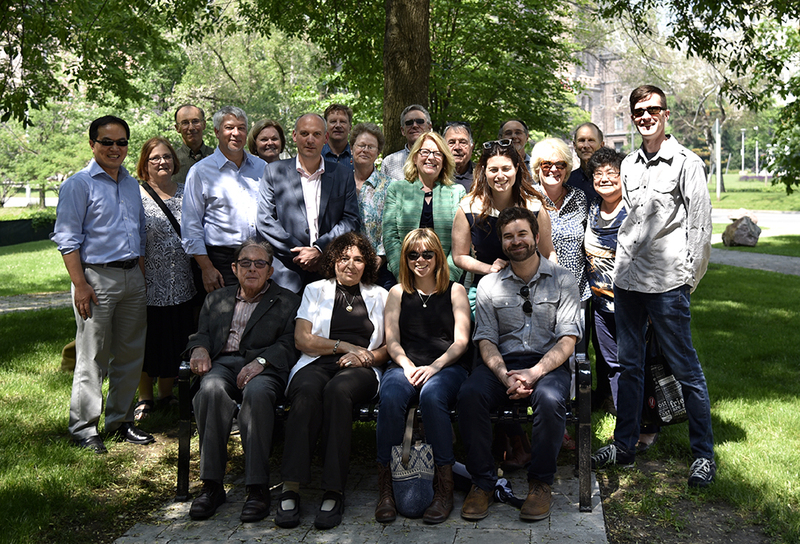 On June 10, there was a small gathering of family and friends to dedicate a new bench at the University of Toronto to the memory of Professor John MacDonald. John served as Chair of the Department from 2001-2008. The Bench is located on the north side of the building and faces the Dean’s Offices. We encourage you to take a moment and visit the bench. We are delighted to introduce and welcome Dr. Anita McGahan to Physiology. 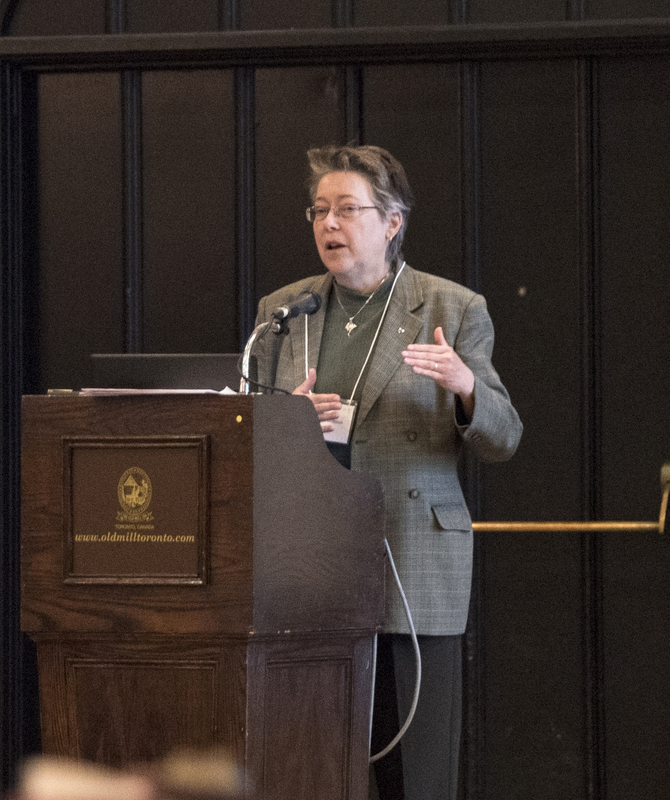 Anita M. McGahan - amcgahan@rotman.utoronto.ca is Associate Dean of Research, PhD Director, Professor and Rotman Chair in Management at the Rotman School of Management at the University of Toronto. She is cross appointed to the Munk School of Global Affairs and the Medical School; is a Senior Associate at the Institute for Strategy and Competitiveness at Harvard University; and is Chief Economist at the Massachusetts General Hospital Division for Global Health and Human Rights. In 2013, she was elected by the Academy of Management’s membership to the Board of Governors and into the Presidency rotation. In 2014, she joined the MacArthur Foundation Research Network on Opening Governance. Her credits include three books and over 100 articles, case studies, notes and other published material on competitive advantage, industry evolution, and financial performance. McGahan’s current research emphasizes entrepreneurship in the public interest and innovative collaboration between public and private organizations. She is also pursuing a long-standing interest in the inception of new industries. Her recent work emphasizes innovation in the governance of technology to improve global health. 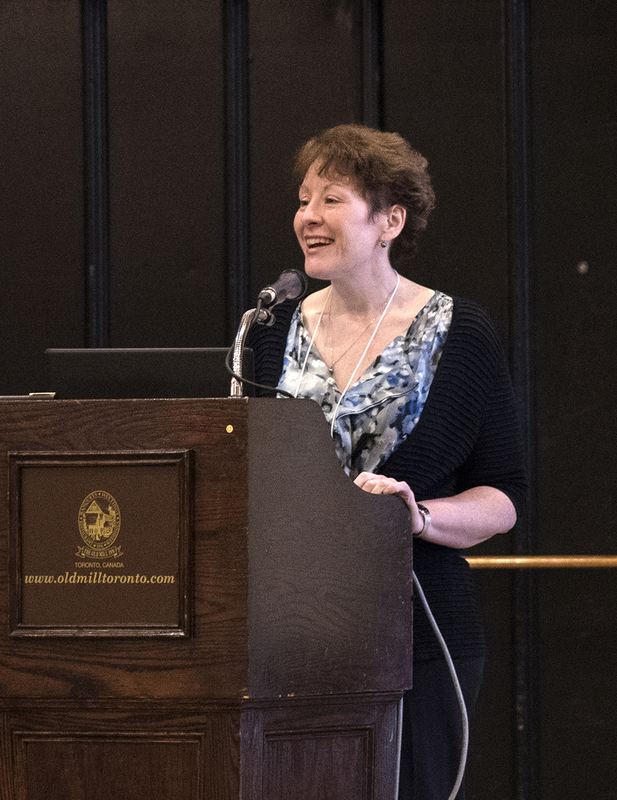 McGahan has been recognized as a master teacher for her dedication to the success of junior faculty and for her leadership in course development. In 2010, she was awarded the Academy of Management BPS Division’s Irwin Distinguished Educator Award and, in 2012, the Academy conferred on McGahan its Career Distinguished Educator Award for her championship of reform in the core curriculum of Business Schools. Positions are posted in accordance with the CUPE 3902 Collective agreement. Employment Equity Statement: The University of Toronto is strongly committed to diversity within its community and especially welcomes applications from visible minority group members, women, Aboriginal persons, persons with disabilities, members of sexual minority groups, and others who may contribute to the further diversification of ideas. We want to hear about the great things happening in Physiology! Please share your accomplishments, awards….